It has been a long time coming, but today we received official notification that Terrapin Station achieved LEED Platinum Certification US Green Building Council (USGBC). 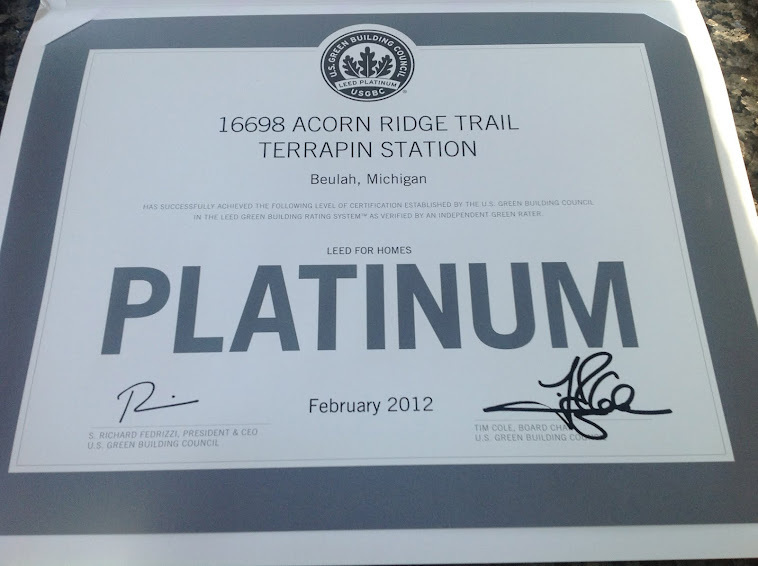 Our home is the first single family home in Benzie County and only the 28th in the entire State of MI to achieve Platinum, the highest level available. Our score was 8 points above the required to achieve Platinum. Needless to say, we are overly excited and delighted.